Sleep apnea can cause a host of symptoms including sleepiness and snoring, but it can also raise the risk of serious diseases. 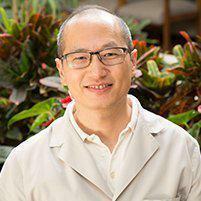 Dr. Peng uses the most advanced techniques to diagnose and treat sleep apnea in patients in Gardena, CA. Also referred to as obstructive sleep apnea or OSA, sleep apnea is a medical condition that causes a person to stop breathing during sleep, sometimes hundreds of times in a single night. Often these interruptions are so brief, men and women may not realize they have apnea until they have a sleep study, even though they may be suffering from apnea-related symptoms like snoring, daytime drowsiness or moodiness. I snore; does that mean I have sleep apnea? Not necessarily; although snoring is a common indicator of sleep apnea, it can be caused by other issues such as sinus infections. The best way to know if your snoring is related to apnea is to schedule an evaluation with Dr. Peng. Sleep apnea occurs when the soft tissues of the throat relax and descend into the airway during sleep. Many types of sleep apnea can be effectively treated with specially designed mouth guards that help reposition the jaw to prevent the airway from becoming blocked. Apnea mouth guards must be specifically created for each patient to ensure a proper fit that won't interrupt sleep. Continuous positive airways pressure (CPAP) is another technique used to treat apnea. CPAP uses a continuous stream of air delivered through a breathing mask to help keep airways open. In a very few cases, surgery may be needed to correct any issues affecting the throat or nose. What about palate exercises? Do they work? In mild cases of apnea, palate exercises might help reduce symptoms, but most patients need additional assistance in keeping sleep apnea at bay. Aside from snoring and drowsiness, does sleep apnea cause other problems? Yes; studies have shown people with sleep apnea have a higher risk of cardiovascular problems including heart attack and stroke.